In the mood for an epicurean adventure? 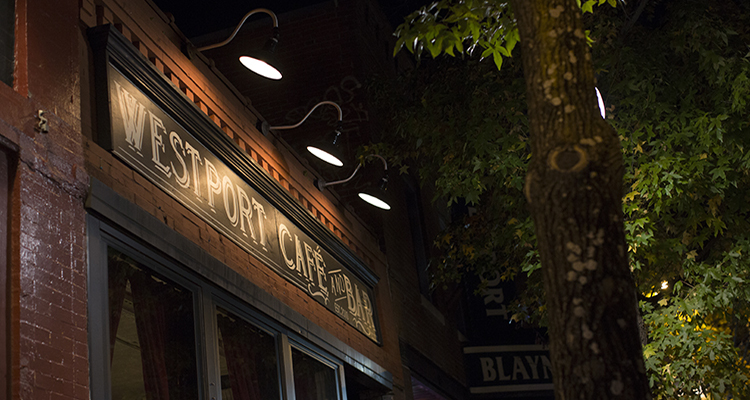 It’s easy to wander off the beaten path of culinary classics in Kansas City. From duck tongue tacos to fettuccine with squid ink, chefs across the city are shaking up the culinary scene with unexpected ingredients. 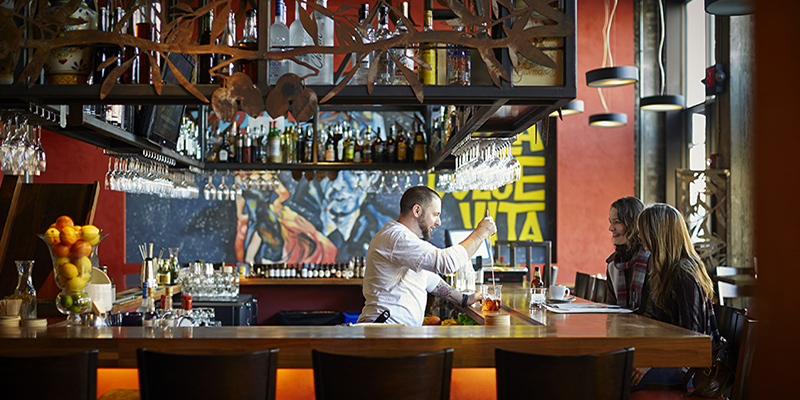 Extra Virgin might be most well-known for its menu of Mediterranean classics, but it also offers some daring delights. In fact, a section of the menu is dedicated “For the Adventurous.” Alongside crispy pig ear salad and Sicilian spleen sandwiches, you’ll find their duck tongue tacos. The duck tongue is marinated in spicy achiote paste, topped with pickled onions and queso fresco and served in hard shell tacos. Squeeze the lime wedge over the tacos before eating to bring out the flavors in each bite. Krokstrom Klubb & Market has been bringing the flavors of Scandinavia to Kansas City since it opened in early 2016. 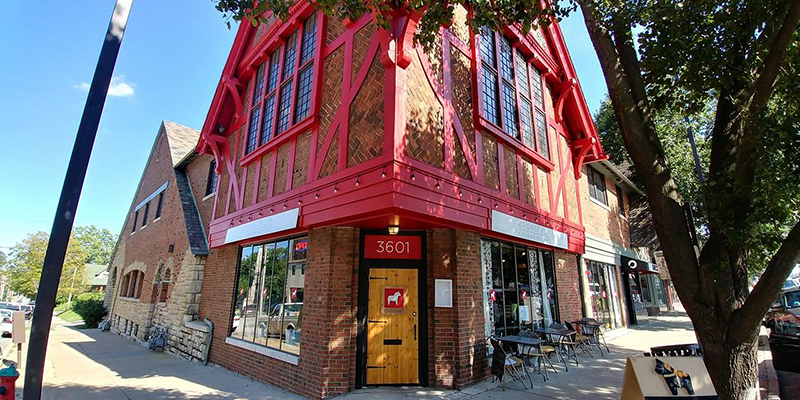 From its old-country décor to the craft cocktails to the smørrebrød (traditional open-faced sandwiches), everything at Krokstrom Klubb & Market is a unique culinary experience. One particular menu standout is the Pickled Herring Board. The Scandinavian charcuterie comes complete with juniper and onion pickled herring, served alongside baby potatoes and sour cream. The shareable plate is meant to be passed around, although you probably won’t want to—and we don’t blame you. Nestled among the French fare on Westport Café & Bar’s menu is an unexpected item—fettuccine with squid ink. Using hand-made pasta from Cupini’s, another Westport favorite, the dish is prepared with shrimp, crab and fresh tomato. The flavor of the squid ink fettuccine is much less dramatic than its appearance, having a subtle, savory taste that pairs perfectly with a glass of wine from the café’s extensive wine list. 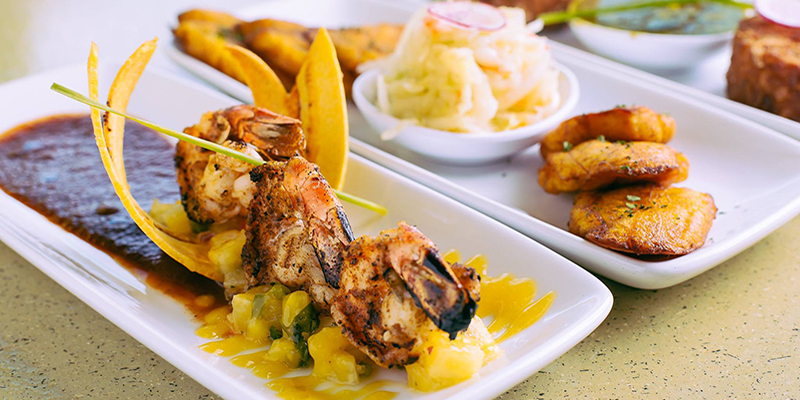 Located in the heart of Midtown, Mesob offers both Ethiopian and Caribbean food. It’s important to note that Mesob isn’t a fusion restaurant but rather one that offers two separate menus, cooked and sold side-by-side. 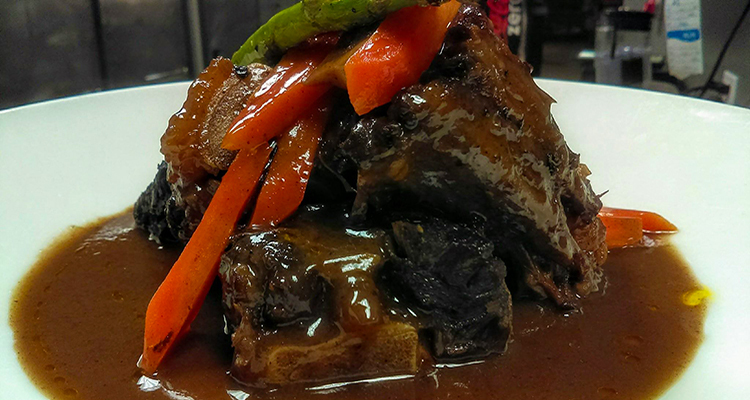 From the Caribbean menu, opt for the oxtail, seared and slowly braised with carrots, onions and celery and finished in a rich red wine sauce. Wine is an atypical addition to oxtail, but adds an acidity that accentuates the bold flavor of the dish. Just because KC isn’t on the coast doesn’t mean there aren’t plenty of fresh seafood dishes available. Carlos Falcon, the owner of Jarocho Pescados Y Mariscos, sources seafood from around the globe. 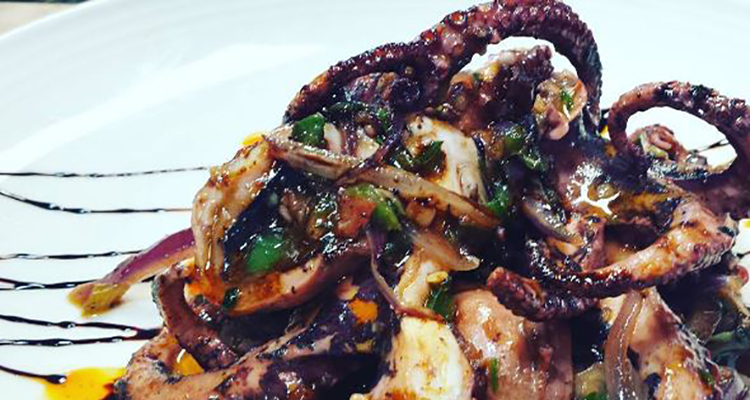 As if octopus wasn’t an interesting enough dish on its own, Jarocho serves it two different ways. There’s pulpo encebollado, octopus boiled then sautéed to perfection with garlic, onions and chopped jalapeño for a flavorful Mexican twist. And then there’s pulpo en tinta for the truly adventurous: tender, broiled octopus sautéed in its own ink. Among sushi house staples like ahi tuna and sashimi, Bob Wasabi on 39th Street West serves up something rarely seen on most menus, mirugai. 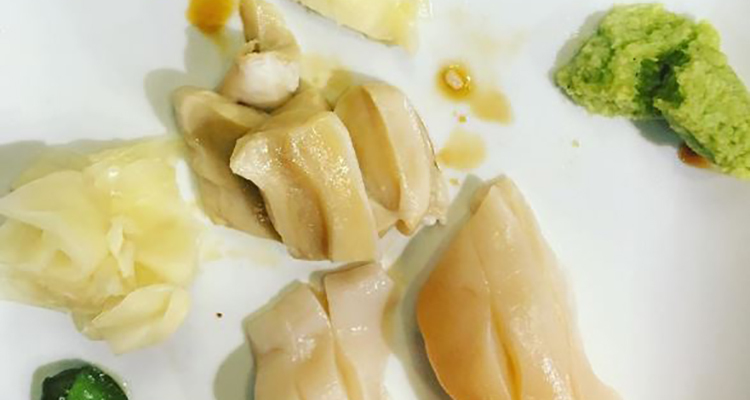 More commonly known as geoduck (pronounced gooey-duck), the large saltwater clam has a soft, tender flesh and taste similar to other seafood in its shellfish family. At Bob Wasabi, you can choose to have it served sashimi-style or nigiri-style over rice. The delicacy isn’t always available, so be sure to take the culinary risk when you see it on the menu.